When a colleague invited Joy Kirr to a professional development day featuring the Scottish design thinking expert Ewan McIntosh she didn’t think it would be life changing. She was flattered to be asked, and wanted to make the most of the opportunity, but her experience of professional development up to that point didn’t lead her to believe it would be Earth-shattering. But then, McIntosh gave the teachers assembled a simple task: Pick one problem in your school and start working on it today. Kirr, like most teachers, can think of a lot of structural problems influencing her classroom, but she decided to focus on something she could control: reading. Kirr teaches seventh grade English Language Arts, and was troubled that the curriculum only required students to read one book per quarter. She thought they should be reading a lot more than that, and she thought the rubric her school used was designed to catch kids who didn’t read. She knew there were kids getting A’s on that test who hadn’t read the book. There had to be a better way. As she explored this problem in the McIntosh seminar, Kirr stumbled across the concept of Genius Hour, a teaching tactic based on a practice at Google, that many teachers are trying. Google found that some of its most successful and innovative products came from projects its employees developed on their own time. So the company instituted a 20-percent time policy, where employees could use 20 percent of their work time on a passion project. In classrooms, teachers give students a set amount of time to explore a topic about which they are passionate. Usually the inquiry results in a project, solution or analysis shared with the rest of the class. It’s the opposite of a standardized curriculum -- which makes some teachers nervous -- but in the Genius Hour idea Kirr saw an opportunity to bring joy to reading. She decided to try giving students time in class to read whatever they wanted. There were no expectations other than that students learn something and share it with the class. There would be no grades because it didn’t make sense to compare projects that are so different. Kirr asked her principal if she could try out Genius Hour and his response opened the door for everything that followed. According to Kirr, he asked, “Do you think it’s right for your kids?” She said yes and has used that question as a guidepost for every other shift that came from this first step. When Kirr saw how much fun her students were having learning during Genius Hour she started to use some of the lessons she learned from that shift in all her teaching. She stopped giving grades on every assignment and instead gave detailed feedback on student work and time to revise. Her school requires quarter grades, but now she decides those through one-on-one conferences with students where the two of them discuss the students’ work, improvement and grade. Kirr said taking a risk on Genius Hour has changed her teaching dramatically. During this time, she doesn’t present a lesson and then moderate an activity that all students do at the same time. Instead, students work on individual projects while she circulates the room checking in, troubleshooting issues, and offering guidance. Teaching this way showed her the power of checking in with individual students every day, something she now does no matter what she’s teaching. “That means my lessons have to change because that means I have to give more time over to them to work,” Kirr said. That one shift, making time to talk to students individually, meant her whole approach to instruction had to change as well. Talking to her students more often also revealed insights into who they are, what they care about, and what troubles them. Now, if something is on their minds, she knows better than to try to push forward with planning content. Now she takes the time to stop and listen. And when she stopped to listen to students, she also started to hear from them about what they’d like to see changed in the classroom. Rather than being offended by that feedback, she reflected on it, made changes where she could, and let them know what changes she’d made, or why she couldn’t if that was the case. “That feedback from them is key to help them buy into what you’re saying from your lessons,” Kirr said. It also impacts her relationships with students. They know she listens to them because there are tangible changes, and that builds trust. For example, Kirr now has a suggestion box so students can regularly give feedback -- that was a student idea. Another time, a student wanted to bring her dog in for her Genius Hour project. Kirr asked the principal for permission and got a “No.” But the principal did say it would be fine to have the dog outside the building. So, Kirr let that student present outside. “I’m more passionate about what I’m doing,” Kirr said. She’s been teaching 24 years in various roles, but she doesn’t think she would have lasted another 15 if she hadn’t started to make some of these changes that reflect what she thinks is “right and good” for students. “Now, the feeling I have in class that there are more yay moments than nay moments,” she said. She’s saying yes to students more, and it feels good. It’s worth noting that the anecdotal positives Kirr notes in the class culture, in her relationships, and in her students’ willingness to reflect and revise work aren’t showing up on the standardized tests they take. Her class’ scores from three years ago are about the same as they are this year. Often, when a teacher makes as many substantive changes as Kirr has, other educators assume that she must work at a school where this type of innovation is regular. While leaders at Kirr's school encourage teachers to try new things, not all staff are at that point now. It’s easier sometimes to talk to teachers outside the building about change ideas. That’s why Kirr wrote a book, “Shift This! : How To Implement Gradual Changes For MASSIVE Impact In Your Classroom.” She wanted to share what she has learned. After she published “Shift This,” teachers around the country wanted to know how they could continue to make shifts in their classrooms. They described the resistance they ran up against and colleagues who shunned their ideas. Kirr understands that kind of environment, and believes there’s all kinds of reasons some teachers won’t embrace her ideas. 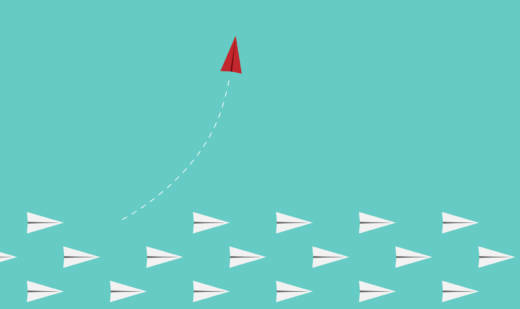 She thinks every educator is on his or her own journey and forcing them to change doesn’t often result in the kind of real differences administrators want to see. Instead, she focuses on ten core concepts that underpin everything that has made a difference in how she thinks about teaching. She shared them at the International Society for Technology in Education conference. Lesson 1: Ask lots of questions. When Kirr started questioning the way things had always been done there were lots of areas that she could change. She admits her questions started to annoy other teachers on her team, but she thinks questioning her practice has made her a better, more committed teacher. “If you don’t have a why in place then the how and what will crumble,” Kirr said. Asking questions is the first step, but it’s important to have a good reason why a change is needed before upending the classroom. Once a clear “why” is established, it becomes the guiding star for the inevitable ups and downs of implementing something new. When exploring how she might get students to read more, Kirr asked questions like: why is it taking us eight weeks to read a 182 page book? Why do we teach it the same way, even if some students are finishing the whole book in one day? How might we authentically test reading comprehension without a 50-point true/false test? Kirr decided to try assessing by having students ask questions. They each had to bring in four questions about the book every day, which helped Kirr not only see that they had read, but also how well they were understanding what they read. When she started asking questions, her students also asked more questions. Lesson 2: Make time for what you believe is right and good. Despite a cramped schedule, Kirr believes that making time for things demonstrates to students their importance. That’s why she makes sure her students have time to read in class. “Once we started reading in the classroom, they started reading outside the classroom,” Kirr said. Sharing could be a structured experience, like peer-feedback, or sharing writing with one another. But Kirr also does book talks, where students share the books they like with one another, and aren’t graded on the presentation. “If they’ll do these things without grades attached, you know you’re doing a pretty good job,” Kirr said. Kirr began to realize she expected students to be able to do a lot of things that she hadn’t given them time to practice. For example, when the fidget spinner craze swept her classroom she was as annoyed as any other teacher. But rather than taking them all away, she had a conversation with her class about the difference between using a fidget spinner to focus and it being a distraction. She had to let them practice making the right choice before she punished them. Rather than abandoning an activity that she believes requires her students to use important communication and analytical skills, Kirr sees the terrible first discussions as practice. And over the year students improve. The same goes for group work. Reflection isn’t a new idea to most educators, but it’s easily forgotten or swept aside when things get hectic. Kirr remembers realizing when she went through National Board Certification that she’d never really reflected until then. But it’s a crucial practice for educators and great modeling for students who gain metacognitive skills when they stop to take note of what and how they’re learning. Lesson 6: After you ask students questions, listen and respond to them. “It helps you be more in tune with who the people are in your classroom,” Kirr said. Allowing student feedback and ideas to influence what happens in the classroom is one of the biggest and most fundamental shifts Kirr has made. It can also be done regardless of teaching style, a relatively simple way to make students feel like who they are and what they think has value to their teacher. Often teachers don’t feel like they can take risks, but Kirr has found that even within a fairly traditional school there is room to try new things. “The first risk I took was not decorating my walls,” Kirr said. She wanted students to decorate the walls with their work over the course of the year so that it would feel like it is their space, not her space. She was excited about the idea, but that didn’t stop her from being worried about what parents would say when they walked into a classroom with blank walls at back to school night, or what other teachers would think. She had to push through those anxieties. “It’s so great to see their work up there instead of my posters that they’re not going to read,” Kirr said. Once she saw that taking risks could lead to good things, Kirr pushed herself to try more ideas. She got rid of her teachers desk, for example, turning it into a station where students could find supplies. “My only mistake was not telling students that other teacher desks were not student stations,” Kirr laughed. The scariest risk Kirr took was inviting parents into her classroom. Because she had moved to one-on-one conferences about grades, she needed extra adults in the classroom to keep an eye on kids while they worked on their Genius Hour projects. “Parents scare the heck out of me,” Kirr said. But she opened up her classroom anyway. The superintendent even visited, although Kirr wasn’t aware of it because she was deep in conferences. This lesson goes hand in hand with reflection; sharing successes and failures publicly is a powerful way to reflect while soliciting feedback from other educators. Kirr discovered this lesson when a parent came to her angry that class time was being used for Genius Hour. In communicating with the parent about her reasons for the approach, Kirr had to think through her “why” again. She collected all her resources and shared them on her website so other curious parents could easily access it as well. Articulating that reasoning clearly and with supporting research made the idea seem less crazy to parents. Kirr has taken to calling her students “readers,” “writers,” “researchers,” and “collaborators” depending on the skill she’s emphasizing in a lesson. She’s become acutely aware that labels create perceptions in the minds of students, but also for other teachers in the building. And even sneaky negative thoughts that are never spoken out loud can infect ones’ attitude. Teaching is hard, Kirr said, and wallowing in it just drags her down. “Choose your language carefully in front of your students, your peers and in your thoughts,” she said. The shifts Kirr has made require time, patience, and hard work. Many educators undertake this work on their own because they believe it’s the right thing for students, but it can be a lonely path, full of mistakes and setbacks. That’s why Kirr loves Twitter, where she can find support and like-minded educators. She also continues to reach out to her colleagues in the building. She has an “Observe Me” sign-up sheet on her door for anyone who wants to visit her classroom during a prep period. Almost no one takes her up on the offer, she admitted, because they don’t have time, a feeling she understands. Principals could support this type of sharing by using Pineapple Charts showing which teachers are doing what in each classroom. That kind of transparency can help make an open-door policy part of the school culture. When she steps back and looks at her classroom over the past several years, these ten lessons embody the core changes she thinks have stuck. And, while Kirr hopes sharing these ideas will help other teachers feel brave, she also understand that change happens differently for everyone. There are many ways to stop change from happening and she’s a firm believer that the type of shift she’s talking about has to come from an internally motivated educator. “I know when change is pushed upon you we resist. But when you choose it, it’s so much easier,” she said.